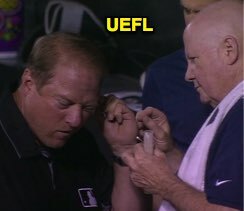 2B Umpire Bruce Dreckman ejected a moth from his left ear during Wednesday's Yankees-White Sox game in Chicago. In the 9th inning, Dreckman jogged toward the first base dugout and sought assistance from New York's training staff to evict the live insect from his ear canal as the game momentarily continued with three umpires. During Dreckman's brief absence, 1B Umpire and Crew Chief Angel Hernandez and 3B Umpire Chad Fairchild shared field responsibilities while HP Umpire Mike Estabrook continued officiating behind home plate. Dreckman returned moments later, missing just four pitches.